These days, it’s common in the U.S. to get “caught up” in the criminal justice system. Simply forgetting to pay a traffic ticket, missing child support payments or even speeding can cause you to find yourself sitting in a cold, isolated jail cell. But what about when the crime you've been accused of is more severe? Simon Law Group is one of the state’s most recognized, most reputable criminal defense law firms. With our team of criminal lawyers, we’ve handled thousands of Superior Court and Municipal Court criminal cases. Our results have been overwhelmingly successful for our clients, as we’re aggressive in court during criminal trials, plea negotiations and all other aspects of the court process. We guide our clients through the entire process, often resulting in dismissals, acquittals, reduced and amended charges, reduced fines, and drastically reduced sentences. We’ve also been known to consult our chemical and toxic-substance experts, accident-scene reconstructionists, crime-scene analysts, DUI/DWI alcotest and breath-analysis systems experts, as well, should the need arise. Many of our clients have come to us unsure of exactly what they’ve been charged with, and have many unanswered questions that they can’t seem to find answers to over the Internet. Contacting us offers the unique ability to have these questions answered, and retaining us to represent and defend you in the government's case against you is among the best decisions you can make. Choosing to go to court alone is a grave mistake, and hiring an incompetent attorney is even worse. Attorneys across the US are notorious for charging one fee, then changing without foreseeable reason, or avoiding giving you an upfront cost altogether. Many offenses in the criminal law system carry heavy fines, long-term jail or prison sentences, and a permanent criminal record that will limit your future options. We offer extremely competitive flat rates for most cases, and set hourly expense costs for others (generally more complex matters); no hidden fees, and no “surcharges” or other gimmicks. As always, the consultation is 100% Free, and at no-cost to you. Do not make the life-altering mistake of hiring an incompetent attorney, using the overworked, overburdened Public Defender’s office, or going to court alone. Don’t risk your future, your freedom or your reputation. Consult New Jersey’s Elite Criminal Defense Firm with 170 years combined experience, and let’s get working on your case. Simon Law Group has earned its outstanding reputation fighting for its clients – those accused in complex, intricate Superior Court cases – by defending them to the greatest extent possible, far more effectively than competing firms. Our experience in Superior Court and Indictable Offenses has not only yielded exceptional outcomes for our clients, but also exceptional client satisfaction rates. Whether you live in Flemington, Readington, Hillsborough, Somerville, Union Township, or elsewhere in Hunterdon County or Somerset County, our attorneys are ready to defend you. New Jersey, unlike many other states, has arguably unnecessary and extremely harsh penalties for firearm and weapons violations that, to some, might appear somewhat counter-intuitive to the rights set forth in the U.S. Constitution. New Jersey happens to be one of a few states that overtly exercises its authority to regulate weaponry. A weapons conviction can greatly limit your chances at successful employment, hamper your ability to apply for additional schooling, and even to find housing. In many of these instances, you’ll be charged with a third-degree crime or a fourth-degree criminal act. However, when combined with other criminal acts, the degree can be even lower, such as during an armed robbery, carrying far greater prison sentences, fines, and statutory minimums. It is extremely simple in the State of New Jersey to violate a gun crime when you’re in the possession of a firearm. Included in the list of prohibited weapons in New Jersey are “silenced” firearms, sawed-off shotguns, “altered” weapons of any sort, destructive devices including grenades and improvised explosive devices (IED’s), and body-armor-piercing bullets. Further included are certain knives, all switchblades and stilettos. Simply “working it out” with the prosecutor is, by far, guaranteed to be the worst option. 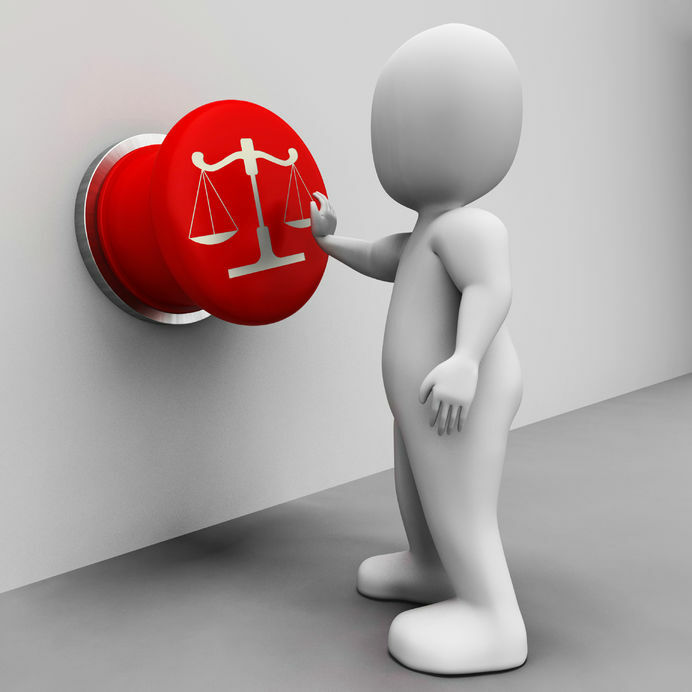 Hiring a public defender, at no cost to you, is another option. While it sounds excellent in theory, public defenders often resort to plea deals almost immediately, and more often than not, you’ll receive a lengthy criminal record at the expense of it. Instead, we recommend enlisting the assistance of a private law firm with extensive criminal weapons violation experience, such as the Simon Law Group. Hiring a private attorney isn’t enough, though. What you’ll need is the expertise of a competent law firm with skilled, trusted attorneys to properly defend you during your time of need. A weapons conviction can change your life for the worse, permanently, and while you don’t want to find yourself filing for bankruptcy over the cost of an attorney, you do want to hire a criminal lawyer whose price matches his or her expertise. For example, if you’re hit with an assault weapons charge for discharging an Uzi from a thirty-round magazine, it’s in your best interest to avoid the lawyer who charges you $1,000.00 for the case. Robbery or burglary convictions can generally carry up to five (5) year prison sentences, but certainly higher in many instances. 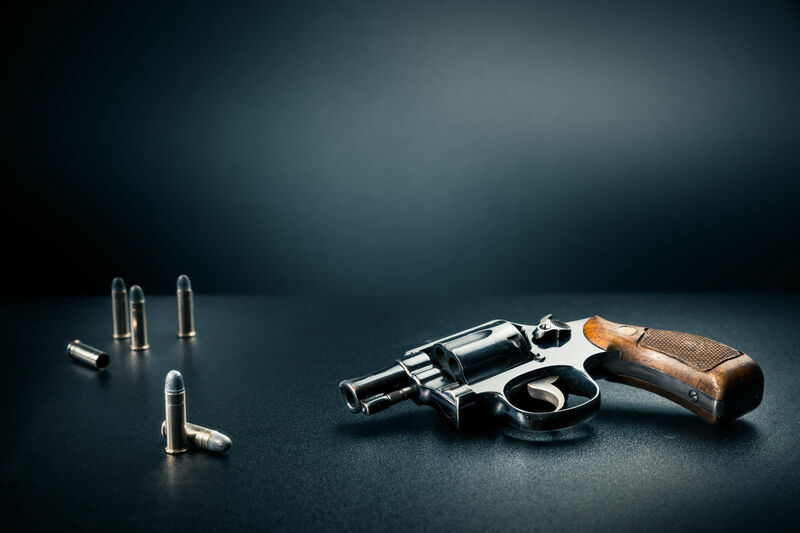 Simon Law Group has extensive knowledge, background and expertise on gun and weapons violations, and is well-suited to provide exceptional representation to our clients charged with the vast array of weapons crimes throughout the State of New Jersey. Many of our clients were simply in the wrong place at the wrong time, such as transporting weapons between states for what they perceived to be a lawful purpose, or discharging a firearm “inappropriately” (improper discharge of a firearm) according to police officers. Sometimes, however, more serious offenses occur, and our clients call us to resolve the issues presented, ranging from armed assaults, to shootings, property break-ins and, frequently, violations that can land a person in prison for the foreseeable future. In NJ, gun and weapons crimes are treated far more severely than in other states, and the system generally treats these offenses more harshly, so it’s absolutely imperative to contact us at the earliest possible time to begin a thorough, in-depth assessment of your case. In NJ, robberies and burglaries, whether armed or unarmed, carry significant consequences for the perpetrator. These are cases that are frequently heard in the County courts, and from our position, combined with the history of many previous outcomes, these matters, when handled with inadequate representation are concluded swiftly. The conviction rate is high and the stakes even higher. A burglary or robbery charge involving a weapon can carry up to ten (10) years in prison, and fines up to $150,000. However, burglaries are generally 3rd degree criminal acts, enforced by up to five (5) years imprisonment with a fine circulating around $10,000 to $15,000. The burglary or robbery attempt doesn’t have to be successful to carry the charge in New Jersey, as convictions are still high in occurrence for failed attempts. New Jersey classifies burglaries and robberies as “any offense,” so you need not technically “steal” something to receive the charge, you just need to be somewhere you shouldn’t at the wrong time. Whether you wish to make a plea for a more lenient sentence, or maintain your innocence through the route of the justice system, hiring an attorney is absolutely necessary. Simon Law Group, unlike many other NJ-based firms, has extensive experience in representing burglary and robbery clients across the state, often with profound and exceptional outcomes. With seven offices across the state, we know the County Courts, and we have the know-how to handle a criminal defense to ensure the best possible result for our clients. When “adequate” just won’t cut it, choose Simon Law Group. Shoplifting is one of the most common crimes that people are arrested for in NJ, and it’s one of the most frequent cases we’re consulted for. Though many see it as minor, the consequences of shoplifting are far-reaching. It is considered a disorderly persons offense to be caught stealing an item(s) worth less than $200, and an indictable criminal offense to be caught stealing an item(s) worth over $200. According to N.J.S.A. 2C:20-11, if you are convicted of shoplifting, you will likely face serious fines, jail time, a criminal record, possible loss of employment and restitution; If you are not a citizen, our immigration status might also be negatively affected. Simon Law Group’s attorneys have extensive experience in criminal defense and work tirelessly each week to help clients avoid shoplifting convictions and the fallout associated with them. 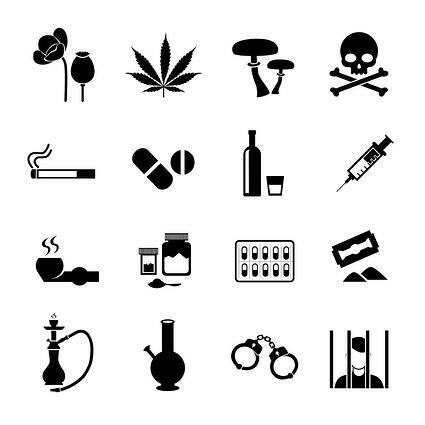 Possession & Distribution of CDS or "Drugs"
People who have been charged with possession of a controlled dangerous substance (“CDS”), distribution of a CDS, possession of a CDS with intent to distribute, possession of drug paraphernalia, or growing marijuana are subject to an array of consequences. Simon Law Group has represented clients with the above charges as it relates to cocaine, heroin, marijuana, prescription drugs, MDMA (Ecstasy or Molly) and methamphetamine. Whether you are a first-time offender eligible for a diversion program such as conditional discharge or a repeat offender facing the detriment of long-term imprisonment, our firm has had overwhelming success fighting these cases for dismissals, and our unparalleled experience in possession & distribution cases will offer you honest, outstanding representation specifically designed to fit your unique needs – regardless of substance. Distribution of Drugs & "CDS"
In New Jersey, distributing any type of drug is considered a crime separate from possessing it. This was created exclusively to tack on additional charges to those accused, generally producing a higher conviction rate and longer sentences. There are several factors of the crime that affect the severity of the distribution offense, including where it occurred, the volume/weight of distribution, and any previous convictions. If you’ve been accused by the Police or Prosecutor’s Office of distributing CDS and are contemplating whether to hire an attorney or handle it yourself, you’ve made the best choice already – and that is the mere consideration of your need for an attorney. The consequences of handling it yourself or choosing an inexperienced attorney are too great to risk your future, employment, financial status and overall well-being. Call us today – it might just change your life. New Jersey law forbids the writing of bad checks or anything written with the intent to defraud another. Charges against those who have written bad checks can be reduced and sometimes dismissed. Writing a bad check can tarnish your reputation for years, affecting your relationship with co-workers, future employers, friends and even family. Preventing a conviction is imperative. We’ve successfully defended hundreds of clients who’ve accidentally or purposely written bad checks, and we’ll do the same for you by offering exceptional representation. An assault by automobile is considered an indictable offense that can result in serious consequences, such as jail time. There are different degrees to categorize assault: second degree, third degree, and fourth degree offenses. The lower the degree, the higher the penalty. Having a criminal lawyer on your side, whose career is centered on traffic and criminal law is critical in preventing prosecution. The knowledge our attorneys have with the two practice areas is second-to-none. Simon Law Group is known across the region for superior success rates in expungements across New Jersey. If you're seeking a firm to give you the greatest chance of clearing blemishes of the past, look no further than Simon Law Group, New Jersey and Pennsylvania's Elite Attorneys. Click below to have our lawyers review your case at no cost to you, or call our friendly staff at 855-370-5359. Continue reading below to view our Municipal Attorney and Traffic Ticket Defense and Representation Information, as well as our information on Criminal Record Expungements. 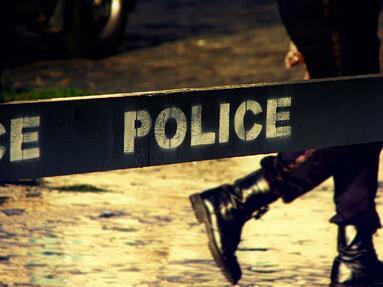 For the top NJ Criminal Defense Attorneys, look no further than us. Simon Law Group handles a plethora of violations and citations in municipal Court from traffic tickets to heavy drug charges and other criminal offenses. Many times Simon Law Group is able to have your charges downgraded from Indictable to Municipal Court level, and though we're unable to make "promises" by law, we can assure you of our long-time skill in negotiating municipal violations to even lesser ordinances, fines and even complete dismissals. Make the right choice. Contact us for a free, no-fee case evaluation. Call Simon Law Group 800-709-1131 for a Free Consultation. NOLO, Lawyers.com, CBS News, Youtube, Facebook, Google+, Twitter, 94.7 FM, NBC, News 12 NJ, and WABC.